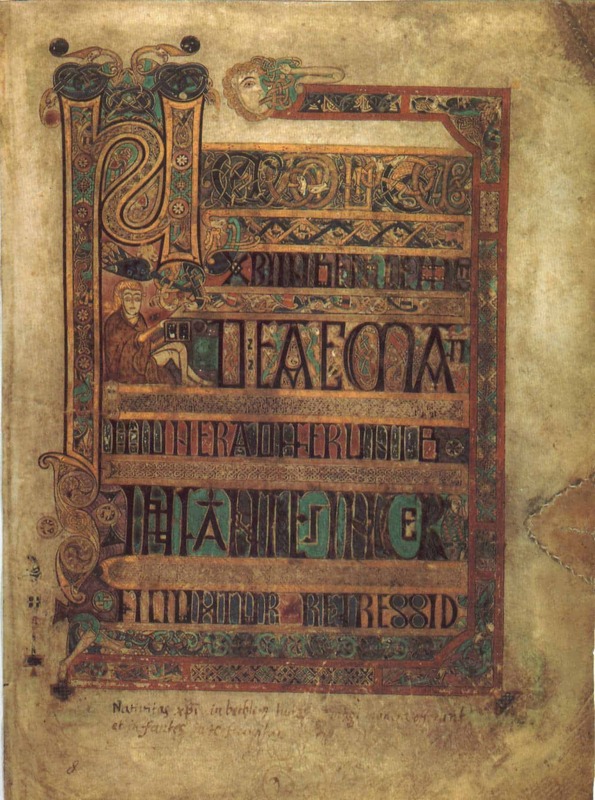 Ireland is a magical land of fairies, and the Irish people have been telling stories of these mystical beings for hundreds, maybe thousands of years. Believe it or not Irish fairies are now relocating to people’s homes all over the world through the magical work of the Irish Fairy Door Company. Today I’m thrilled to introduce you to this Irish company that produces quality, handmade, wooden fairy doors to create memorable family moments, once you truly BELIEVE. Disclosure: The Irish Fairy Door Company advertises directly on this website, and this post contains sponsored links. 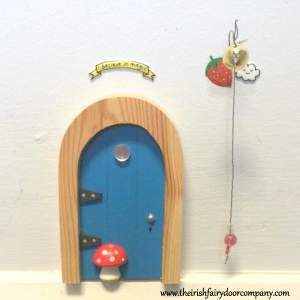 And if you believe in fairies, you can enter a little giveaway at the end of this post to win your very own fairy door. 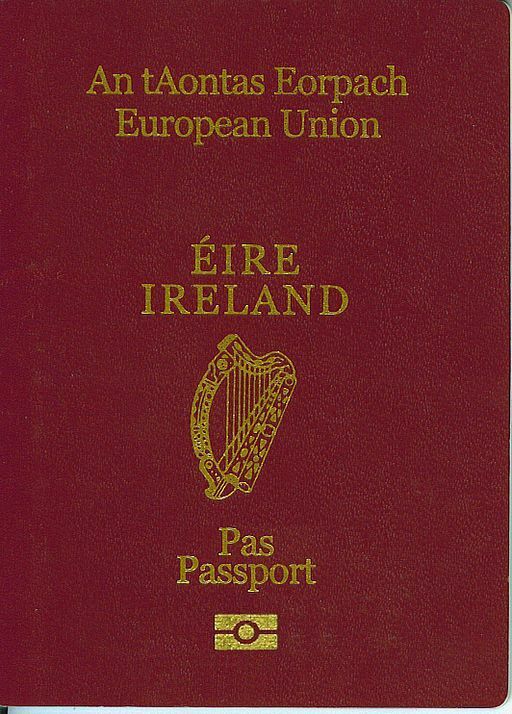 But before you enter why not join me, and come away with fairies …..
What Are Irish Fairy Doors? An Irish Fairy door is an arched wooden doorway that comes with a little glass bottle containing a miniature key. You place the door wherever you want it in your house, then lay the glass bottle with the key outside the door. The next morning, if the key has disappeared, then you know your very own fairy has moved in. Fairies keep their keys with them, so they can come and go with ease. The doors are easy to attach to a wall or baseboard using poster putty or Blu-Tack as we call it in Ireland. 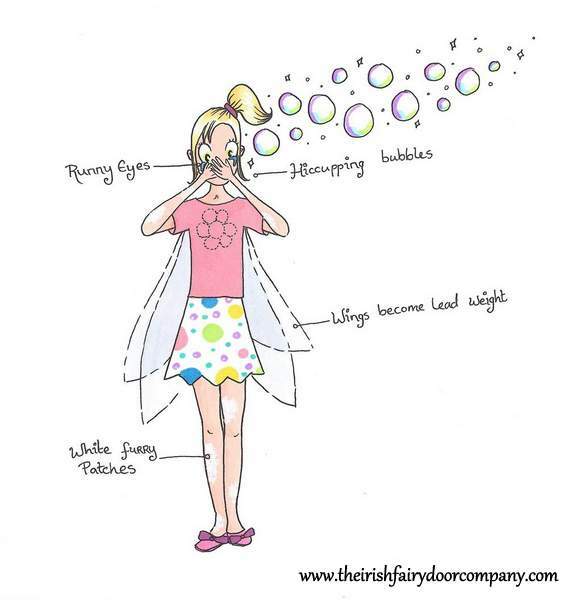 A child can pick a name for their very own fairy, then register the name on The Irish Fairy Door Company website. Once you connect with your e-mail you are linked directly to the Fairy Council. And that’s how the magic begins. Their website is full of interesting fairy facts, magical stories, lease agreements, and interesting tidbits of fairy knowledge. This colorful, insightful and organized website contains all the information needed to foster imaginative interaction between children and their fairies. Parents receive their very own e-mail with specific instructions form Kate, the Queen of the Fairies so they understand how a fairy must be loved, and most importantly how they must believe in their family fairy. Now some of Ireland’s fairy stories from years gone by suggested humans and fairies should not mingle. But this issue was resolved by good Queen Kate. “Years and years ago before Queen Kate discovered how well fairies grow and blossom once a human loves and believes in them, many of them used to say that a fairy should never go near a human. They were so afraid of losing their magic if they were seen that it was believed for a very long time that fairies and humans should never live together. Now let me tell you a little story of how I came to believe in the magic of Irish fairy doors….. It all began about two years ago when my mom bought my little girl a very special present. Once my little princess laid eyes on a beautifully arched red door, with it’s magnificent daisy wreath and pearl drop door handle, she was enthralled. “What is it?” she questioned. “A fairy door!” I exclaimed, as I quickly read the instructions on the back of the box. Little did I know my mother had bought a box of pure magic, the key to stir my little girl’s imagination, to ease her bad dreams and to share her worries. It took me some time to fully understand the magical power of our fairy door. At first I asked my mom how much she spent on what appeared to be a simple piece of wood. When she told me she spent a little over €20, I thought she had way overspent, but soon I came to realize this was the best €20 she ever spent on a toy for my little girl. This was far more than a simple wooden door. This was a portal to magic, and the good folk at the Irish Fairy Door Company go to great lengths to distribute news from The Fairy Council through their Magical Matters e-mails. 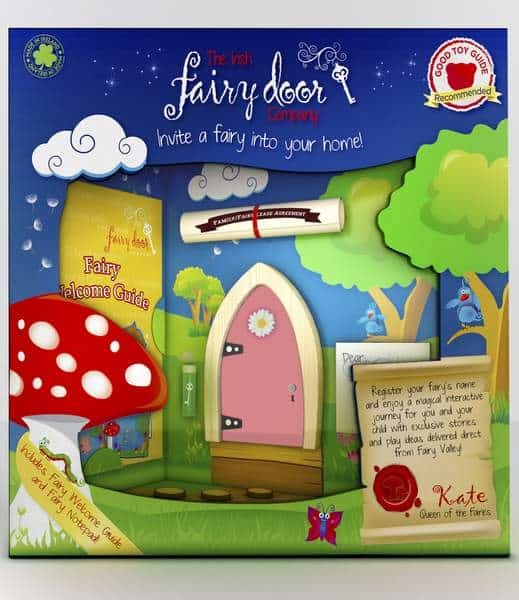 Since the Irish Fairy Door Company receives communications directly from Queen Kate their magical knowledge just grows and grows, and they share that special information directly with you through their e-mails. Here are some important magical facts we have learned over the past two years …. Fairies are tiny magical beings who actually look quite like humans but have special wings and powers. Toadstools are an international symbol of fairy magic. Toadstools appear where fairies have set up homes, and believe it or not, we actually found a toadstool in our garden after our fairy, Kristina, took up residence. Fairies are very good at blowing away bad dreams. At night your fairy can watch your dreams, playing out like a movie on the ceiling. If a fairy feels any bad dream breezes, he or she will work to blow all those bad dreams away. Fairies love to collect things so sharing your teeth, worries, wishes, pacifiers (or soothers as we say in Ireland) with your fairy, makes your fairy feel very important. Special fairies can also take your worries away. These fairies use the energy found in worries to send to the fairies who grant wishes. This means a worry becomes a wish with a little fairy magic! And sometimes, when fairies are not as responsive as a little one might expect, it might just be related to fairy flu. Yes! Fairy flu! It’s very real, and our poor fairy has succumbed. We were so relieved to receive an e-mail from the Irish Fairy Door Company which explained why Kristina had not been as attentive as my little girl expected. We have contacted the company directly to learn if a fairy can come on vacation. We learned that once you communicate with your fairy by writing a note, you can take her door anywhere, on vacation or to a new home. An Irish Fairy Door is more than just a little wooden doorway. It is a means to bring whimsy and amazement into your child’s life. In our high-tech world where gadgetry provides instantaneous satisfaction, a child is at risk of losing their precious sense of wonder. An Irish Fairy Door holds the key to enchantment. As we speak, fairies are eagerly waiting to find new homes, to sprinkle a little bit of magic and stir your child’s imagination. Every fairy is hoping to find his or her perfect home and experience a family’s love. A quick note: Some of these links are affiliate links, which means I will earn a small commission if you choose to make a purchase using one of these links. The price you pay will not be affected. Thanks so much for supporting my blog …. Irish Fairy Doors are available directly online from The Irish Fairy Door Company Shop. Readers in Ireland and the UK can purchase magical doors from Amazon.co.uk. And if you’re interested in all these magical matters you can follow the company on Facebook, Twitter, or Pinterest. Because the Irish Fairy Door Company has been commissioned by the International Fairy Council to re-home fairies throughout the human world, some lucky fairies are going to find new homes with three of Irish American Mom’s readers. 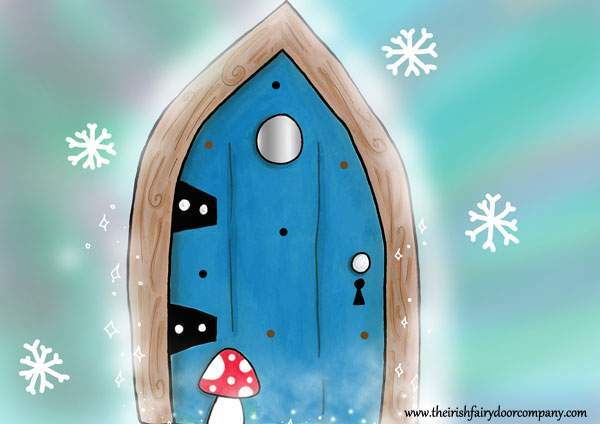 There are three fairy doors to be won, provided by The Irish Fairy Door Company. Three entrants will be chosen randomly to receive a lovely magical doorway. To enter just leave a comment on this blog post by noon on Wednesday, December 2nd, 2015. Any comment will do. What you write does not affect your chance of winning, but if you need inspiration for your entry why not tell us why you believe in fairies, especially the Irish kind. A winning comment will be chosen randomly. Remember to leave your e-mail so that I can contact you should you win. Your e-mail won’t be published or shared, just used to contact our lucky contestant, and for the company to mail the prize. Winners will be announced on Wednesday December 2nd, 2015, at the bottom of this blog post. A big thank you to everyone who supports this little fairy door giveaway. May you all feel a little sprinkling of fairy dust and magic this Thanksgiving week. Good news. Our three winners have been chosen using the random “Pick Giveaway Winner” WordPress plug-in. I’ll send you all a quick e-mail to let you know you are one of our prize winners. And a big thank you to The Irish Fairy Door Company for sponsoring these wonderful prizes. 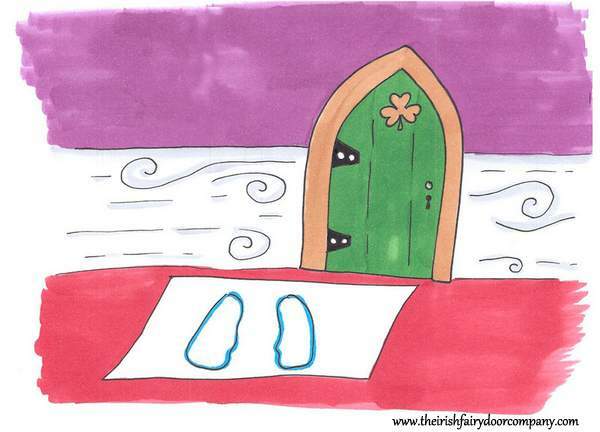 Disclosure: The Irish Fairy Door Company is an advertising partner with Irish American Mom. The opinions I shared about this product are my own, and The Irish Fairy Door Company did not influence what I said and how I said it. My daughter received an Irish Fairy Door from her grandmother over two years ago, and we were enthralled. I was delighted to partner with them, because I can sincerely vouch for the magic this little door has brought to our home. I wish to thank them sincerely for graciously sponsoring the prizes for this sweepstakes. Oh, this is lovely. My 8 year old son would love this to take the bad dreams and monsters away. Hi JB – These fairy doors are perfect homes for dream-catching fairies, who blow all those nightmares and thoughts of monsters far, far away. My beloved father used to tell my sister and I bedtime stories about a little girl named PattySue (an amalgamation of our names of course) who regularly had adventures with fairies, elves and dwarves. When I had 2 little girls myself, the stories continued with the heroine being renamed KatieEm in their honour. We even had fairies who lived in the ravine behind our house and they sometimes left surprises and wee gifts for the girls to find in the morning. To this day, both in their 30s, they can tell you about seeing the fairies and their bonfires on warm summer nights. Such wonderful magical times. Hi Patricia – Such a beautiful family story-telling tradition started by your father – thanks so much for sharing such a cherished memory of your father. My grandaunt was a great woman for telling stories of the faeries. We spent hours searching for “na sióga” with her. Stories and magic create lasting memories. I still love all the stories my mother use to tell me about fairies and loved telling them to my daughters. Would love a fairy door. Hi Sharon – It’s lovely to hear that your mother shared her stories of the fairies with you and that you too passed them on to your daughter. These simple little doors can stir such beautiful memories. 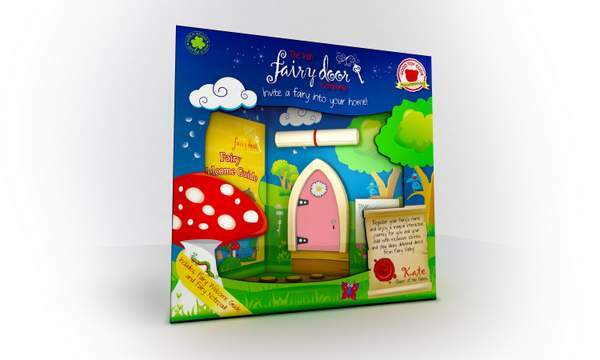 Hi Colleen – These ever-so-cute fairy doors are a perfect Irish gift for little ones. I love the green doors with Irish shamrocks too. I do believe in fairies and the very best fairies are Irish. I have a little fairy house in my garden and I wear a fairy on my bracelet. The more fairy doors the better able they will come live with me. Hi Cheryl – Nice to know you too believe in fairies – a little pinch of Irish fairy magic goes a long, long way in life. Hi Maureen – I would say there are many ancient fairies from the time of the druids living around Doneraile Park. The river and the woods always feel so mystical and magical when I visit with my kiddos. They love the place, and next time I’ll have them on the look out for fairy rings. Charming idea! I helped my granddaughter make a fairy house in the back garden, and we’re hoping that someone will move in. Hi Shelley – What a lovely thing to do for your granddaughter and a perfect way to spread a little fairy magic in the world. I am SO happy that there are other adults who still believe!!! Hi Deborah – It sure is lovely to hear everyone’s fairy stories and to know so many of us do believe. My husband (Co. Cork) made a fairy door and attached it to our huge Maple tree. Our 7 children loved playing out there and left their disney characters and small cars to share. Great memories for us. The fairy door program you shared is delightful and brilliant.!!! Hi Margit – I think Niamh, the Irish girl who thought of this wonderful idea, truly received some mystical inspiration from the fairies. It is a simple, but truly brilliant idea, but what makes her company so special, is the ongoing support and information they spread like fairy dust around the world. I’m so glad this post kindled happy memories for you too. My Grandma used to tell us stories about the Irish fairies. She immigrated to Butte! Mt. from Cork. Sweet memories! I hope the luck of the Irish is with me. Hi Mary Ann – I recently learned about how many Irish settled in Butte, Montana. I was so surprised to learn this city has such a high percentage of people with Irish ancestry. Lovely to hear your Grandma brought her Irish fairy stories all the way to Big Sky Country – I’m sure her fairies loved the Rocky Mountains. what a wonderful and unique gift! And thank you for entering our giveaway. These really are lovely gifts. It’s the perfect start for the fairy garden I’m planning to make! Someday I will have fun sharing all this with a grandchild! Thanks! Hi Sinita – I hope your fairy garden will bring you much joy as you share it with your grandchild. What a lovely idea. I believe in fairies because my 85yr old granmother does. She used to say to me, that children believe in magic and see spirits because they havent yet learned that they aren’t supposed to! Hi Sarah – I love your grandmother’s theory on the fairies. I think there is a lot of logic in her explanation of how children love mystical, magical stories and places. What a wonderful giveaway. Love, love these fairy doors! Hi Alicia – Thanks so much for entering this little giveaway. These little doors are cute beyond words. 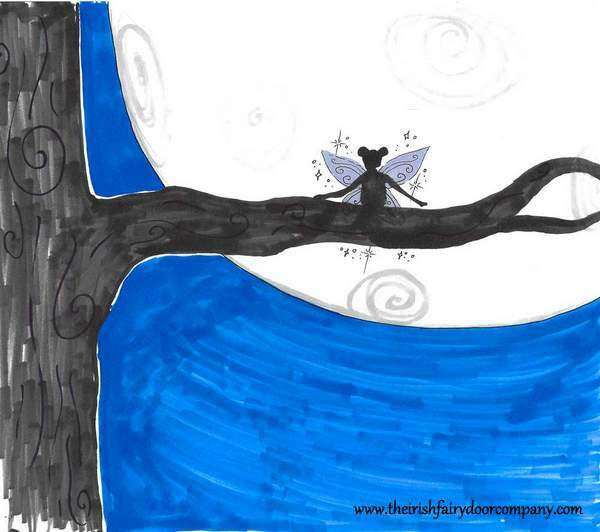 Hi Cat – Thanks for sharing your story of your Irish worry fairy with us. How lovely that your aunt passed on this Irish tradition to help you at a time of great sorrow. Fairy doors are a wonderful idea for taking away bad dreams, and worries. I hope your little granddaughter finds a magical outlet to take all her cares away. Best wishes, and have a lovely Thanksgiving. My granddaughters, Harper and Adrian, live far away and at ages 6 and 4 need to learn to dance with the fairies. Hi Patrick – Learning to dance with the fairies should be a part of every childhood. I hope you and your loved ones get to spend some time together this holiday season, despite the miles between you. Thank you so much for the great giveaway and for your wonderful blog! Our family moved from the US to Ireland a year ago. We will be here for a couple more years before moving back home. My children have loved learning about the fairies from their new friends. Ireland is truly a magical place! 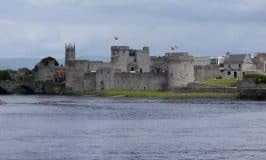 Hi Laura – I’m so glad to hear your family is enjoying their time in Ireland, and learning about all the mystical things that make Ireland a special place. May your years in Ireland bring you the joy of new discoveries, and a feeling of connection to the Emerald Isle that will be with you forever. Best wishes, and thanks for entering this little giveaway. I was wondering if you sold these wholesale? Hi Lois – Thanks so much for checking out these lovely Irish Fairy Doors. I’m not a seller of these products but you can contact the company in Ireland directly to research their availability on a wholesale basis. Here’s the link with all of their contact information.